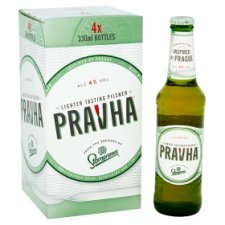 This 4% premium pilsner has all the iconic flavour and gentle bitterness of a high-quality Czech pilsner, but is unexpectedly crisp, lighter tasting and refreshing. Chill, open and enjoy this bottle of Pravha, the lighter tasting pilsner. 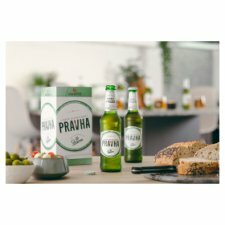 Born out of 150 years of Staropramen brewing history and expertise, Pravha represents the modern, unexpected side of Prague where there's often something new and exciting going on underneath the timelessly beautiful surface of the city. Store in a cool place., Best Before End: see bottle neck.